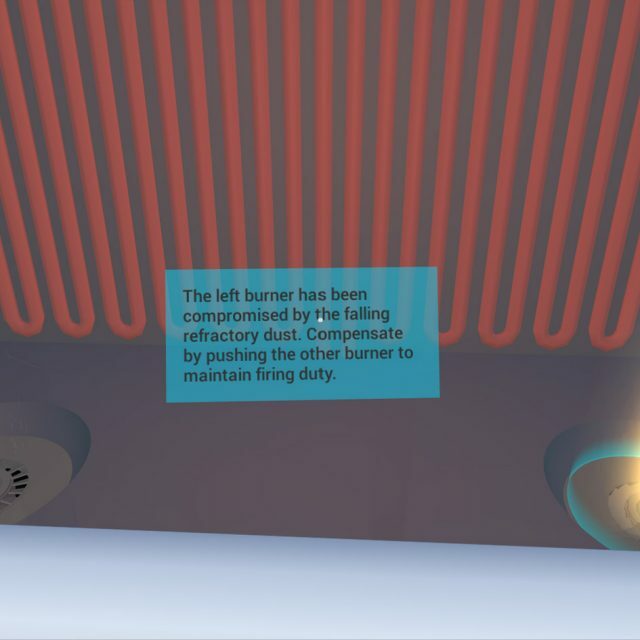 We developed a small prototype designed for demonstrating the use of virtual reality for training exercises. 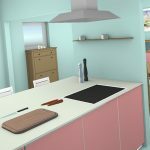 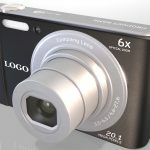 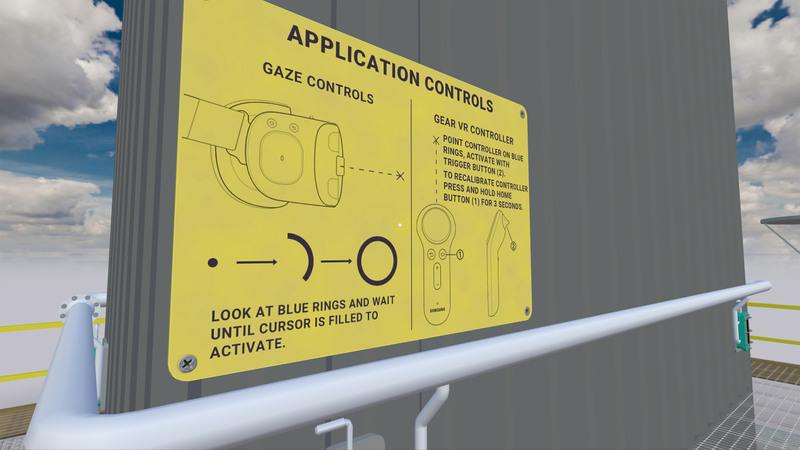 The prototype was developed for the GearVR and HTC Vive. 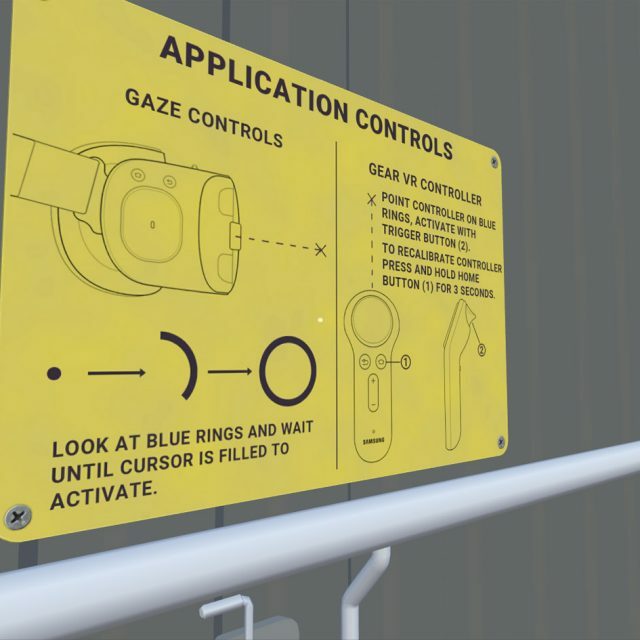 The application also supports the GearVR Controller. 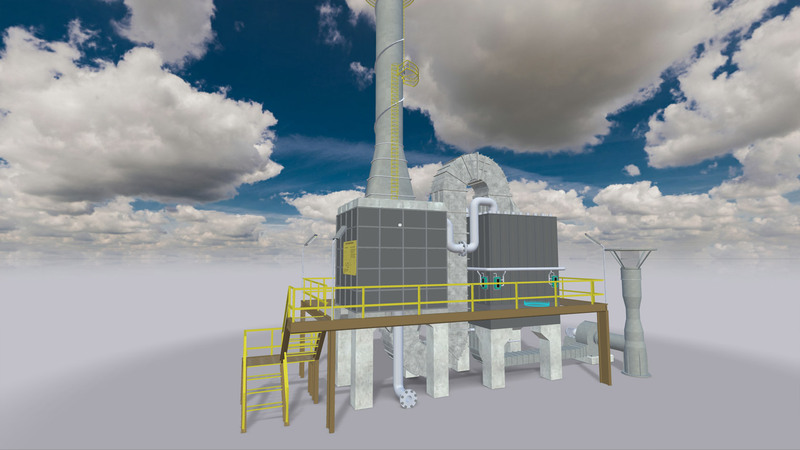 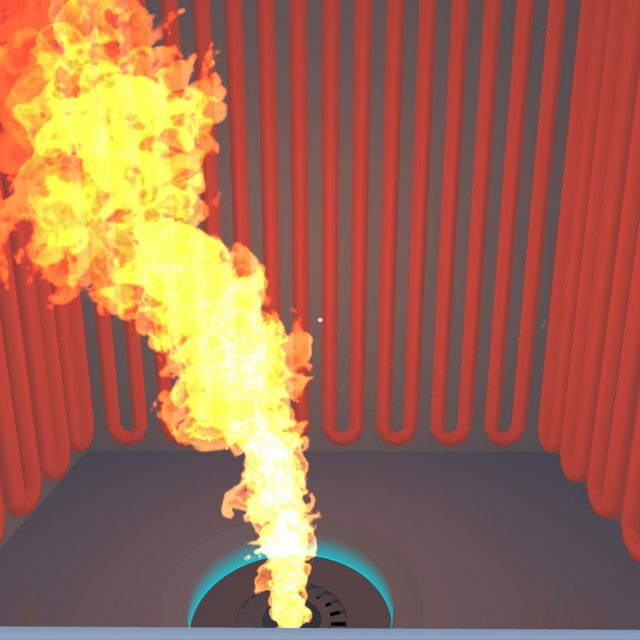 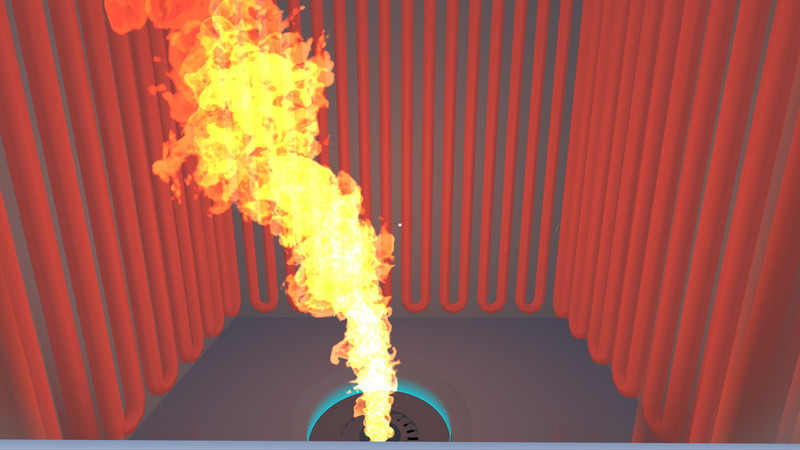 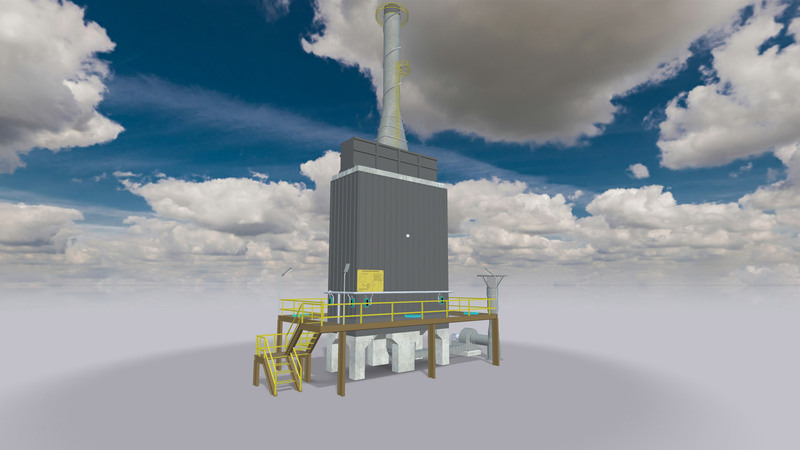 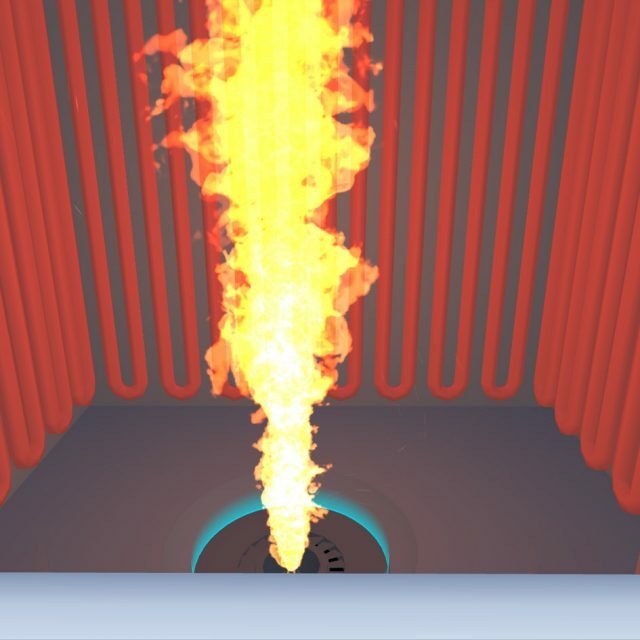 The main features of the application include the visualization of four different burner flames, as well as a burner failure scenario. 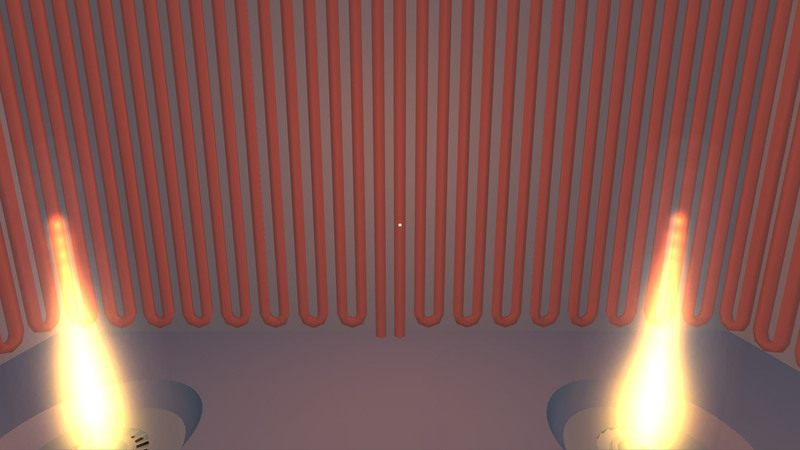 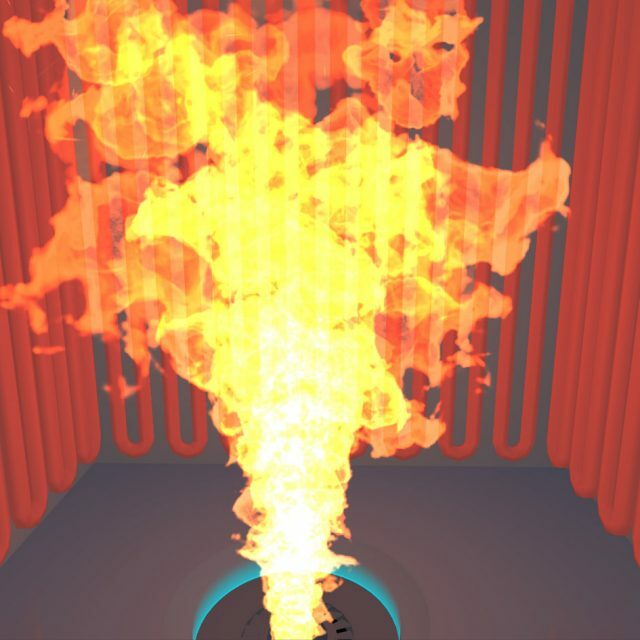 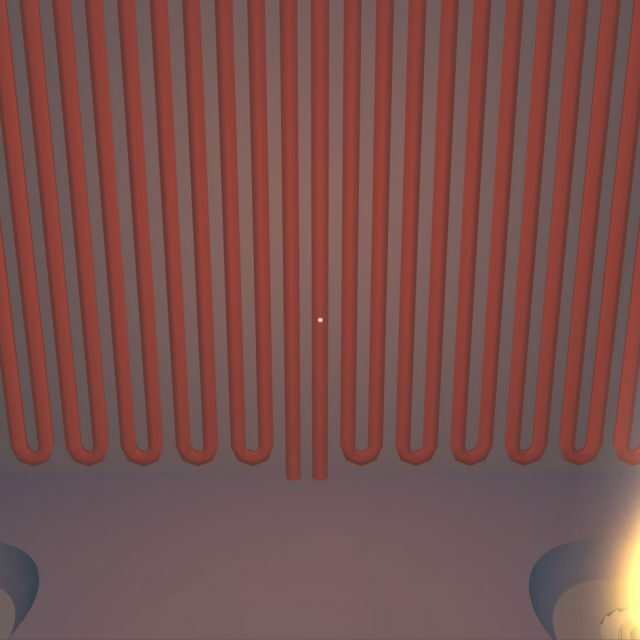 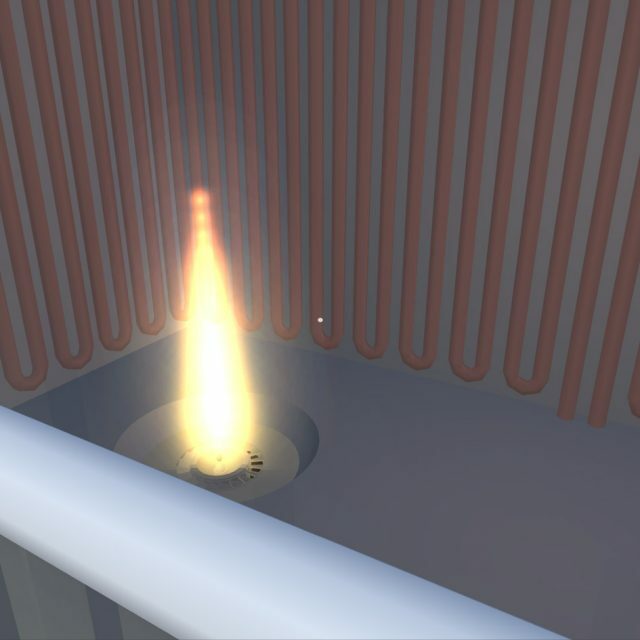 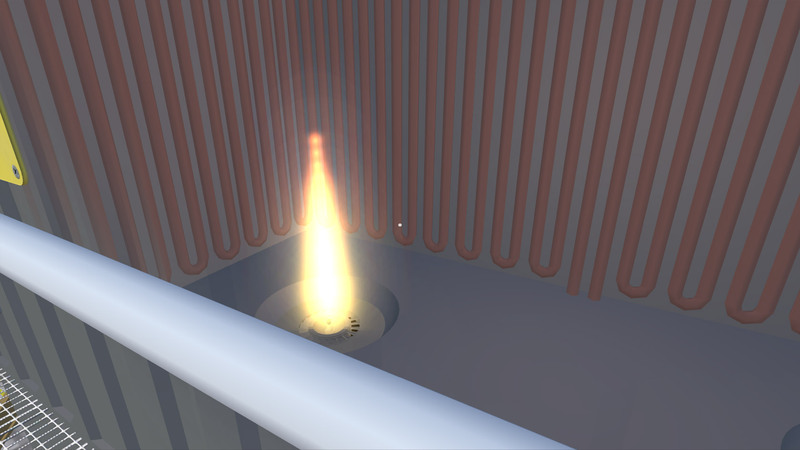 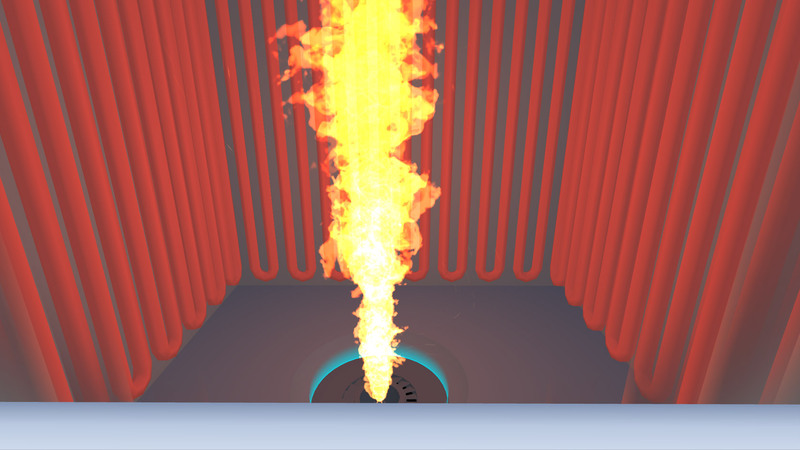 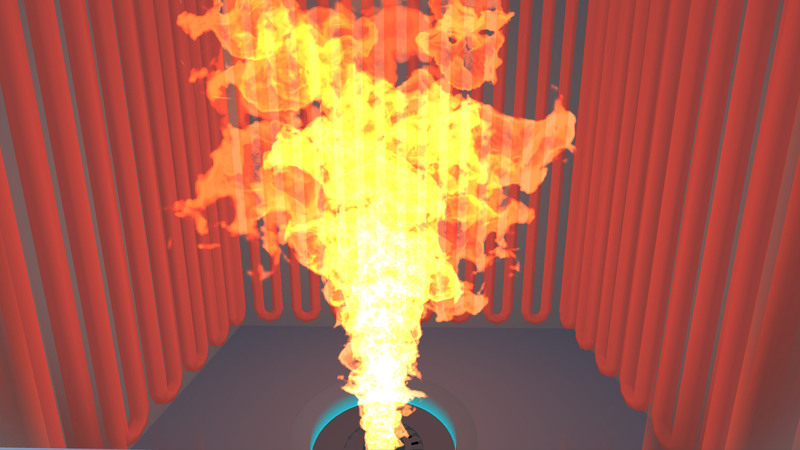 In the flame demonstration scene, the user can cycle through each flame. 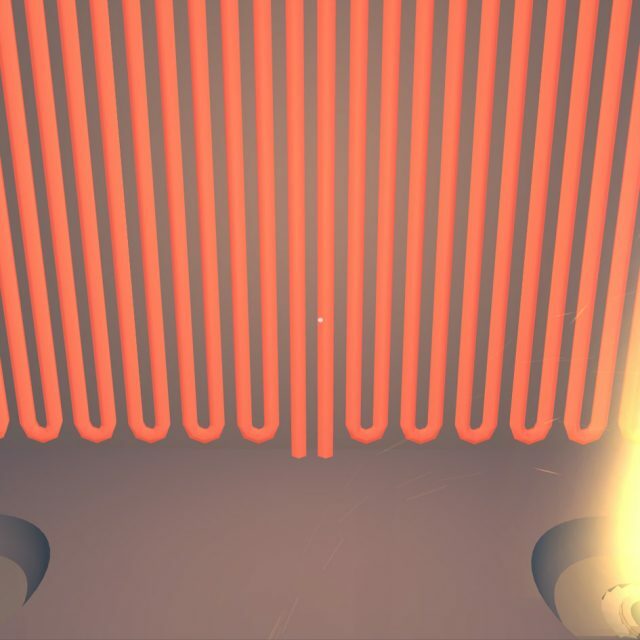 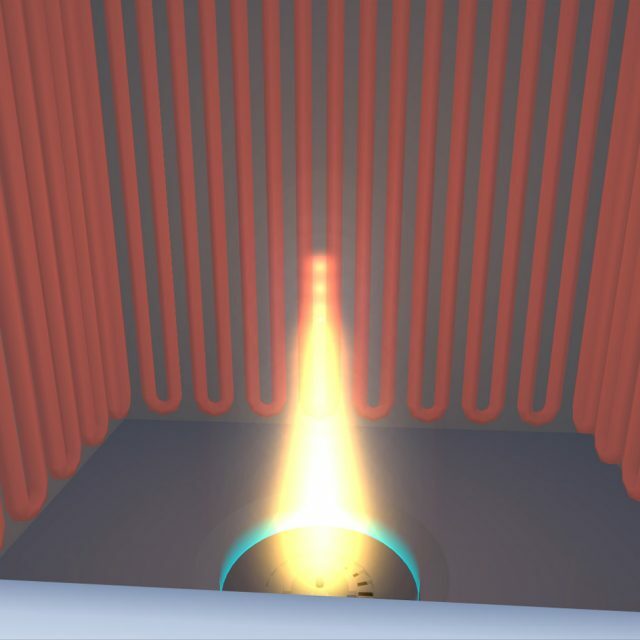 Performance of the burner at each state is further visualized by the glow intensity of the radiant tubes. 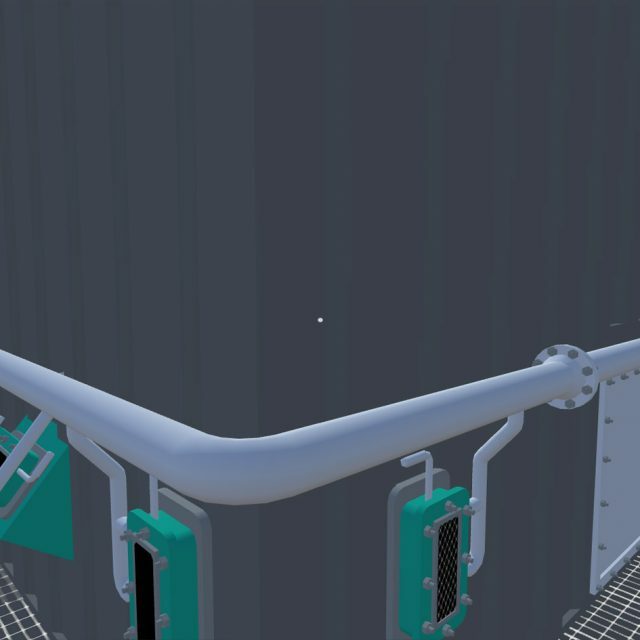 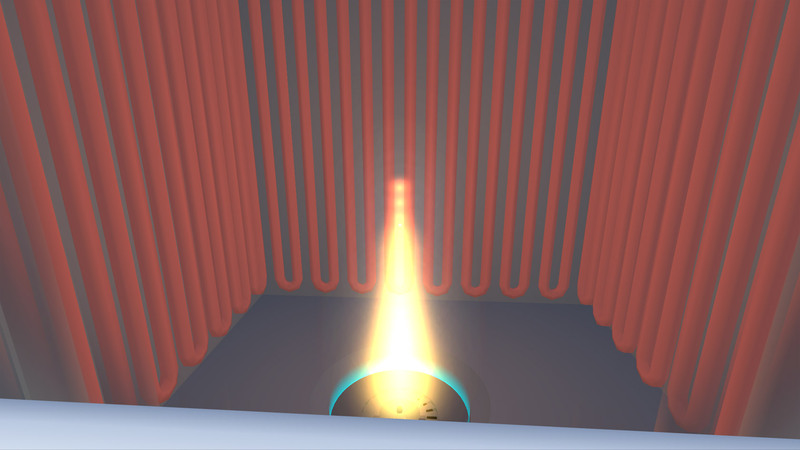 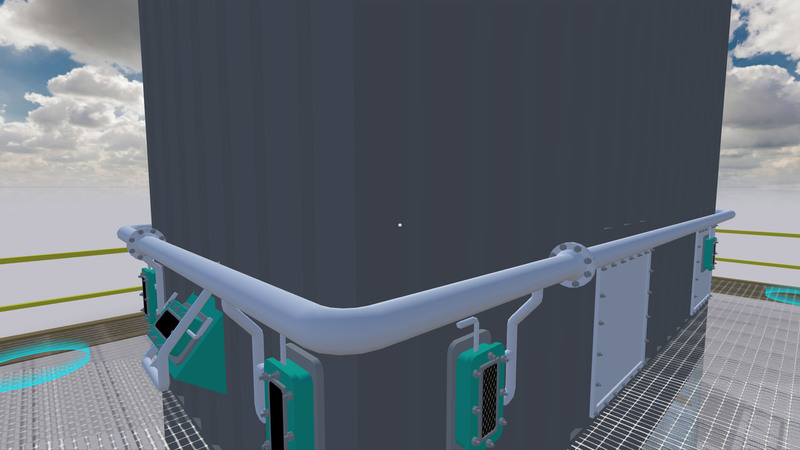 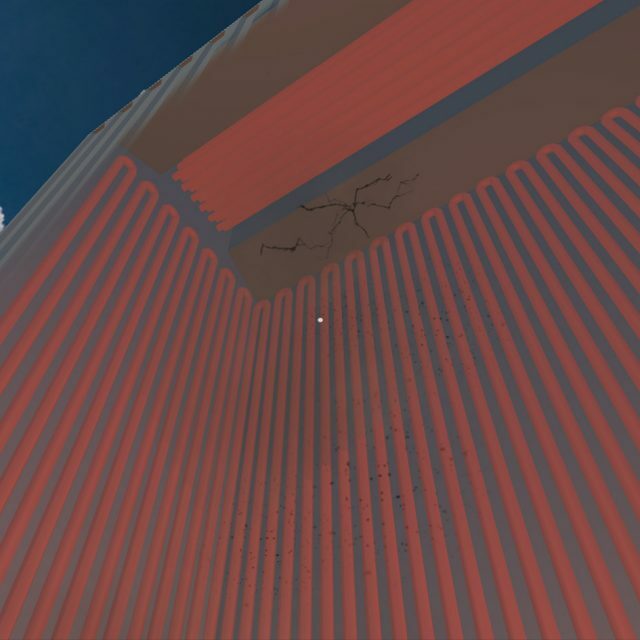 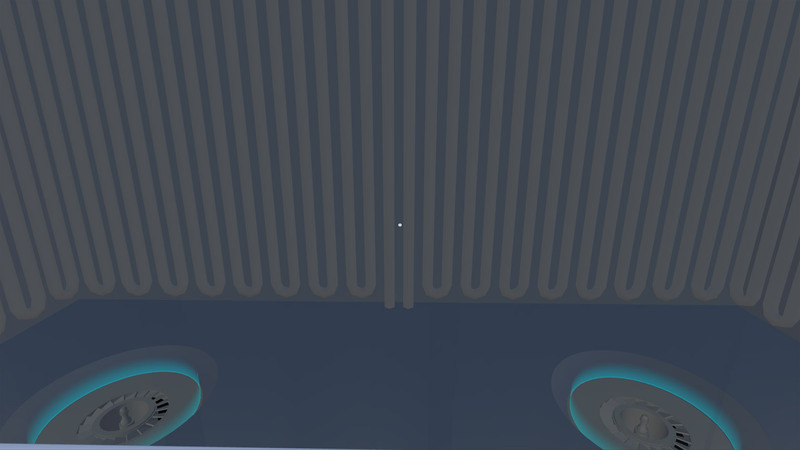 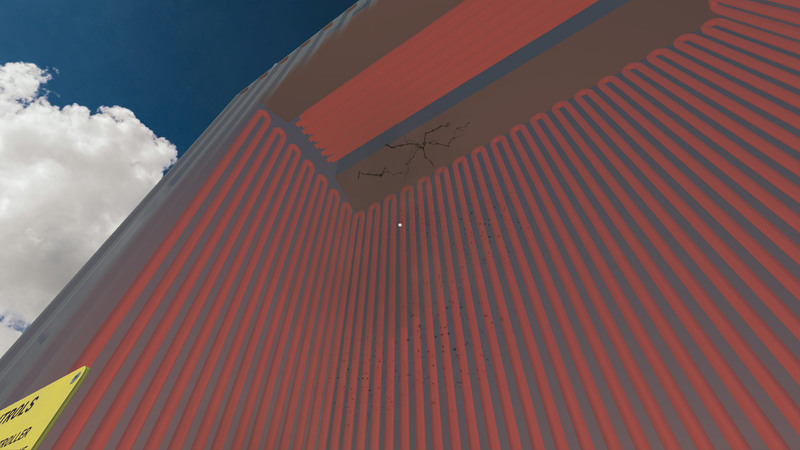 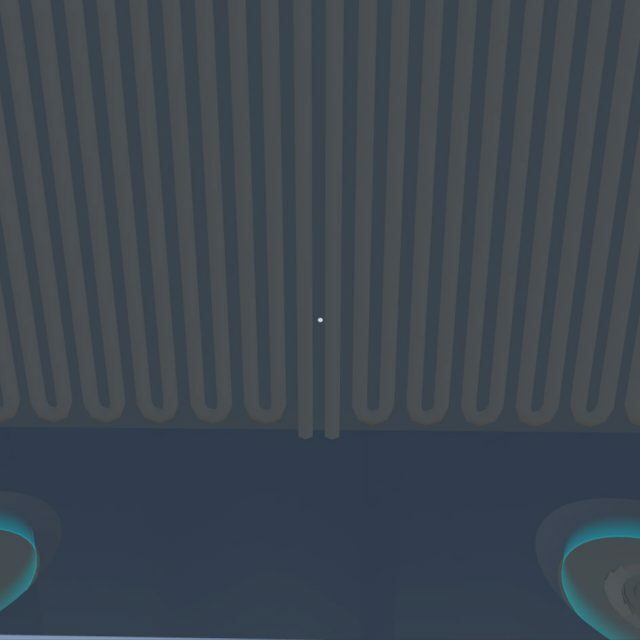 The scenario simulates castable refractory failure on the ceiling, which happens after both burners are turned on. 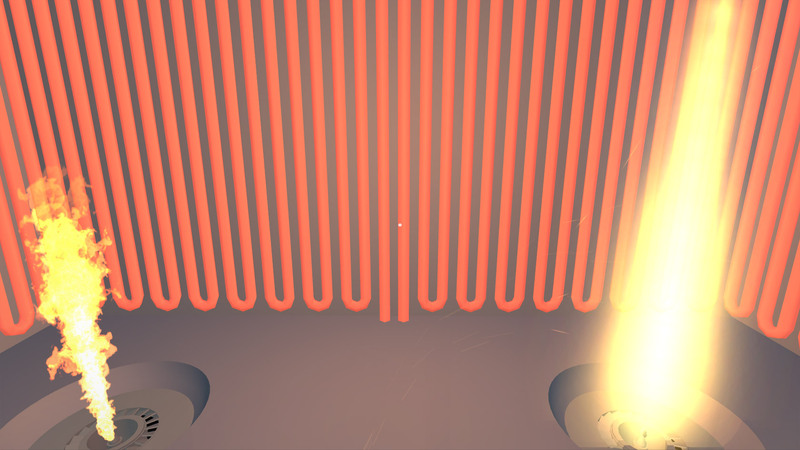 The resulting cracks cause dust to fall down, which in turn compromises one of the burners. 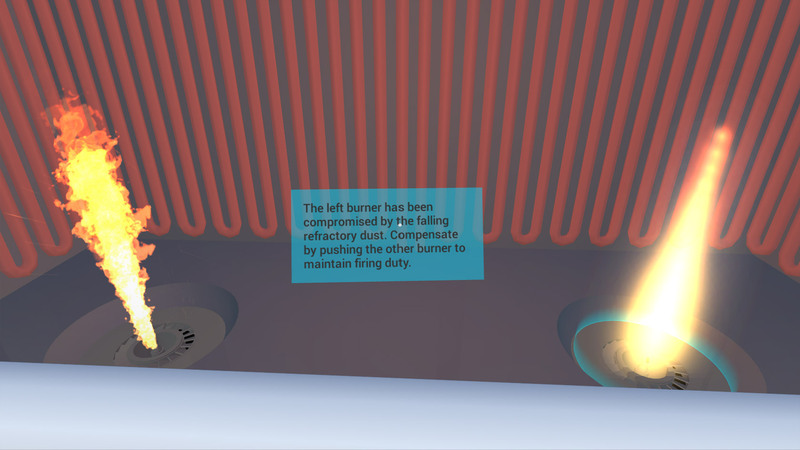 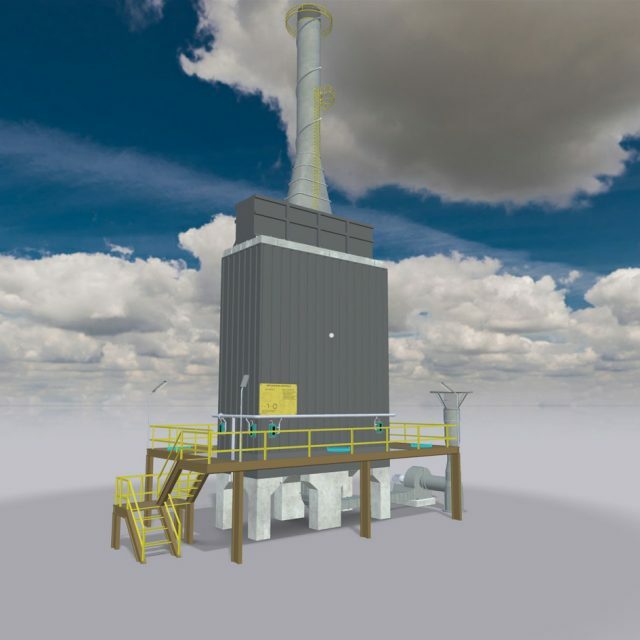 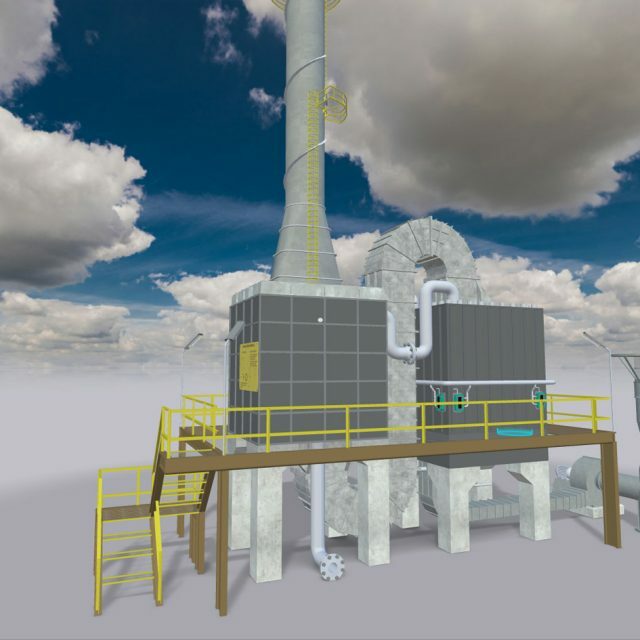 The user has to compensate by increasing output of the other burner, which restores firing duty and ends the simulation.